Kaituna Cascades is rated #1 rafting company in New Zealand on Tripadvisor! 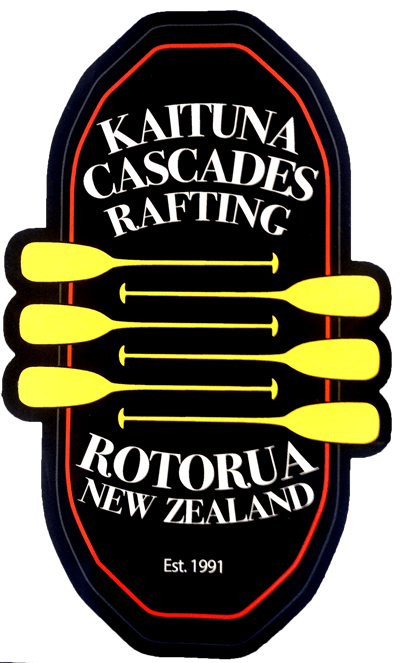 We are the original Kaituna Rafting company & have been operating since 1991.
river rafting trips on the Kaituna River (Okere River), Wairoa River & the Rangitaiki River. 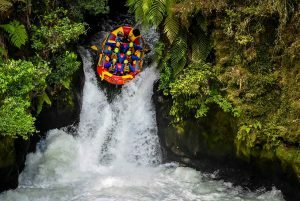 For the best white water rafting in New Zealand, visit us in Rotorua! 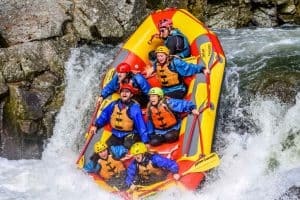 The Best White Water Rafting in Rotorua, New Zealand! Whitewater river rafting in Rotorua is an experience you will never forget. The rapids are thrilling, and rafting down the world’s largest rafted waterfall is truly unforgettable. 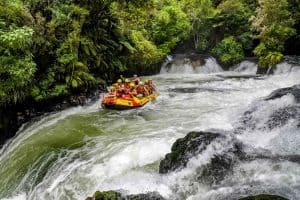 Kaituna Cascades was the first rafting company to open up the Kaituna River, letting you experience the amazing, deep warm water canyons, and rafting the famous seven-metre tall Tutea Falls. We were established in 1991 and today is still locally owned and operated out of Rotorua, North Island, New Zealand. 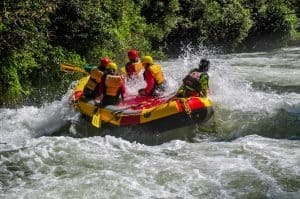 Our rafting base in Okere Falls is in an awesome, sunny location, and is surrounded by a scenic reserve that backs right onto the shores of the Kaituna River. We are the closest and most accessible company to the river, making Kaituna Cascades the ideal choice for Okere Falls rafting. All our guides are handpicked, highly skilled professionals. They come from an extreme white water background either in kayaking or rafting. They have extensive experience of white water rafting in Rotorua. We are a company super friendly guides that strive to give you the safest & most entertaining trip on the river! Whatever your group we can take you on an epic rafting trip! 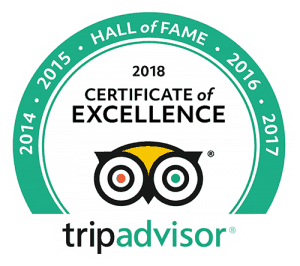 Give a gift of an experience! The pics from latest rafting trip.